Emotion regulation refers to the ability to either increase or decrease our emotional experiences. In social cognitive affective research, most effort has been devoted to the investigation of the neural basis of emotion down-regulation to better understand which emotion regulation strategies may work best to achieve this goal. 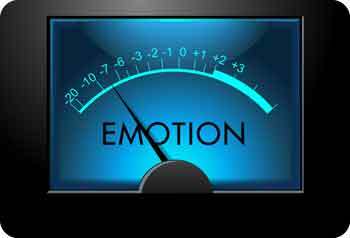 In my own research, I examined two specific aspects of emotion regulation. 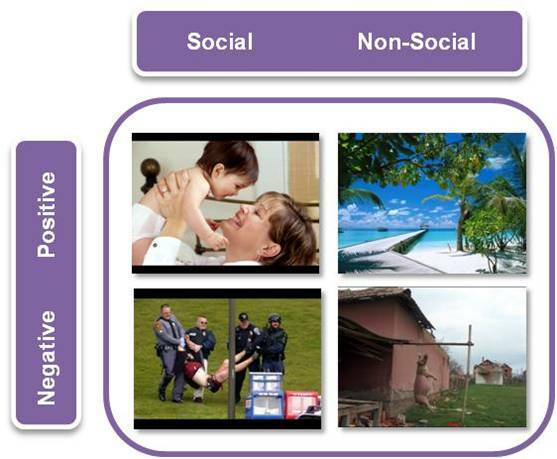 First, I asked the question of how two different emotion regulation strategies may influence brain activity to social versus nonsocial and positive versus negative emotional scenes. And second, I examined how the human brain responds to natural dynamic emotional facial expressions when participants were either asked to imitate the seen emotions, or suppress any emotional facial display during emotion observation. Please refer to the next two paragraphs for more details. In a first fMRI study published in Neuropsychologia (2011), we investigated how two different emotion regulation strategies – cognitive re-appraisal versus expressive suppression – influence brain activity during the processing of social versus nonsocial, positive versus negative emotional scenes. Such approach was novel, because most previous fMRI studies in the context of emotion regulation (i) only looked at one emotion down-regulation strategy at a time, (ii) only included negative emotional information, and (iii) did not distinguish between social versus nonsocial elicitors of emotions to be regulated. Our findings revealed that different brain regions were more or less sensitive to either re-appraisal or suppression effects, depending on the social versus nonsocial content of particularly negative emotion-eliciting images. Of particular interest was the fact that we observed amygdala lateralization effects. Whereas activity in bilateral amygdala was stronger for social versus nonsocial emotions, re-appraisal was more effective in down-regulating such activity in the left, but suppression in the right amygdala. In sum, these data nicely illustrate that either re-appraisal or suppression can be more effective for – at least temporarily – down-regulating negative emotional states, depending on their social versus nonsocial nature. In a second fMRI study published in Frontiers in Psychology (2013), we examined brain responses during the imitation of, or expressive suppression to emotional facial displays. Such approach was motivated by the fact that emotions perceived from others’ faces constitute a key element of interpersonal communication, and no other fMRI study up to date has specifically contrasted imitation versus suppression of emotions in one single experiment. Emotions expressed by actors shown to participants in the form of short movie clips (GEMEP) were either happiness or sadness. Besides revealing several interesting activation patterns related to distinct imitation versus suppression effects, our findings also showed an apparent positivity bias during imitation. This happiness versus sadness brain activation bias during imitation is in line with greater propensity to echo with positive, rather than negative social signals. For more details, please refer to the Publications page or contact me with any questions.